Understatement is British. It is ours inherently. It is our nature to describe abject misery as ‘a little bit of a bother’. We can denounce Tony Blair as ‘a tad disingenuous’, Susan Boyle as ‘no oil painting’, and damn eternally someone we despise as ‘not exactly charming’. Ironic litotes is our Excalibur. That is why the state of the current book review scene so ill-befits us. We English think we invented the novel, so one would think that we would have the perfect vantage from which to turn our noses at any of these modern releases that don’t quite match its high water marks. But no. Take a stroll through Amazon’s virtual aisles, and wall-to-wall, everything is tip-top rated. Five stars out of a possible five. Even Goodreads’ reviewing profile gets to the point that, if a book isn’t four-and-a-half-star or higher (what we might classify as ‘Life-changingly great and unimprovable in perfection’), it starts to look like some hideous anomaly. You go to any online author or blogger discussion group and everyone is full of praise, grinning like Alsatians and exclaiming the same hysteric verbal salutes in block capitals to match the hype of each and every new release. They take the title ‘enthusiast’ to literal extremes. Every book poster on the underground bears effusive reviews describing it as a once-in-a-generation cultural event, that the author is the brightest luminary of civilised thought, that if you have yet to read it you might as well hang yourself – well, that’s really the problem. Positivity to a Brit is like nails down a chalkboard. It must stop. But then, of course, I would like to think that politeness is also inherently British. I think everyone is aware of the facility that the internet has of delivering hateful messages from individual to individual can be incredibly destructive and dispiriting, so we can all appreciate the oasis of positivity that comes from a community of mutually-supportive and like-minded people. But, for the love of God, call a spade a spade. On the level field of internet critique, every new novel gets five stars for trying now – and when everything’s perfect, nothing really is. If The Da Vinci Code is a five out of five – well then, there must be no room for improvement. Everyone who ever put pen to paper must really be a genius. Everyone’s a winner. Martin Amis’ observation that the word ‘masterpiece’ has become massively devalued in recent years would have been far more profound if it had not occurred in the context of a five-star review for the book of some other soi-disant ‘genius’. 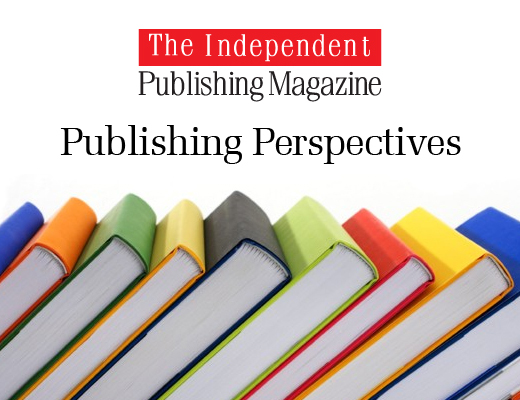 The fact is that the industry is in trouble, and the influx of new titles, self-publishing and vanity presses has created both a glut of sub-par writing on the market and a dilution of any monetisation or marketability for new and debut work. It’s rough out there – which certainly makes the effusion of online reviews an interesting juxtaposition when viewed from the outside. Logging on to an industry Twitter feed now is like walking into a psych ward full of medicated invalids shouting about how wonderful everything is – an endless, self-congratulatory, navel-gazing circle-jerk. ‘Ah,’ you cry, ‘but we can spot a turkey when we see one. Didn’t Sean Penn’s debut novel get blasted for being unbearable, unnecessary, masturbatory rubbish?’ Yes it did. It was terrible, and you probably bought it. Ditto with Fifty Shades. Once a certain calibre of book becomes massive, through personal celebrity, success de scandale or word of mouth – then it becomes fair game for the critical broadside, since at that point the only reason people will buy it is because it’s so bad, and they want to join in the mockery. What I’m talking about here is the great flattened middle of the publishing world – the 250,000 other books that are published in the UK every year that you won’t have heard of – and might be considering buying as one of your dozen-or-so reads of the year, if it’s that much better than the competition. Not that there’s a reliable way of discerning that. It requires a bit of thought and investigation to quite figure how we got here, and why the situation is so much worse and damaging than in, say, the film industry. I shall do my best to explain here, and hopefully by the end it should be self-evident. Anyone who tends an online comment or review section will know that any amateurs who take the time to leave their opinions tend to feel strongly, either positively or negatively, on the issue. There’s a lot of ambivalence out there that goes undocumented, but books especially require a great deal more time, commitment and emotional investment than a two-hour film. We might reasonably suppose that anyone willing to invest will be compelled to rate their investment more highly, through self-selection bias, conversion over the course of the book, or as a kind of misplaced justification for having wasted their time on something they didn’t really like – what I like to think of as a kind of rationalised Stockholm Syndrome. If you look on IMDB, for example, TV shows have on average a much higher rating than movies for the same reason (there are only four films that have an average rating above 9, for example, whereas the top 24 TV shows all achieve this benchmark). This is unavoidable and inherent in what a book is and requires, so I am willing to let this one lie. The other factors are a little more complex to explain and have to do with active marketing. Books are read, not displayed, so they have to be sent by the publishers to specific reviewers far ahead of publication to get favourable reviews and testimonials for the jacket, and a nice buzz going by word-of-mouth. As opposed to a communal press screening for a film, book publishers have a great deal of control over who gets sent what, and since the broadsheets and nationals have only so many professional reviewers on staff to fill only a slim number of pages in their cultural supplements (if they even have them), and only so much time for only so many major releases, smaller titles tend to rely heavily on testimonials from the myriad of amateur or freelance reviewers, bloggers and acquaintances in the industry to get their by-lines. 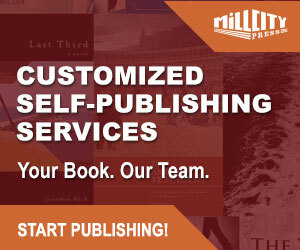 Now – imagine you are a publisher, whose sole purpose in sending out complimentary review copies is to aid in marketing the book when it comes to publication and getting a positive buzz and testimonials for print. You are likely to send copies only to those you can be certain will review it favourably. Now imagine you are an amateur blogger with a full-time job and a sideline pursuing your passion. While you pride yourself on objectivity, journalistic probity and a relationship of trust with your readers, you also rely on favourable relationships with publishers so that they will send you new releases to review. You are therefore likely to be as positive as possible when reviewing, since in this way you will receive more copies, more attention if your review is chosen for a high-profile sound-bite, and thus more impact in a role that you would like to think is more than an inconsequential hobby. Thus, all integrity is compromised and the feedback loop is closed. The third factor – which mostly applies to fiction and tends to insulate phony reviewers from any genuine reproach – is even harder to get hold of critically; again, I shall only do my best. Reading isn’t a social act, or nowadays even a very popular one, so a valid consensus on written material can be quite a slippery thing to achieve. It is as if there is some kind of vague, unspoken notion that if a piece of fiction is an honest expression of an individual voice, then in that case there is no such thing as a bad book – in the same way there is no such thing as an incorrect opinion. The problem is that this is just demonstrably not true. It may be right that all novels have validity as an authentic piece of human expression, but a glance through the submission pile of any given agency or publishing house ‘slush pile’ will yield many books earnestly written with the best efforts and intentions to be a success – and which can be agreed, by consensus, to be poor work. This is what editorial boards do all day, after all. The argument here is not so much that a valid gradation exists between particular kinds or pieces of writing specifically, but that one exists at all. It is just that once the interests of the publisher changes from rating a work accurately to inflating its worth, it ceases to function. The avariciousness of the industry has been exacerbated by the adverse conditions they have been facing in recent years, and the ubiquity of the internet for competitive marketing. 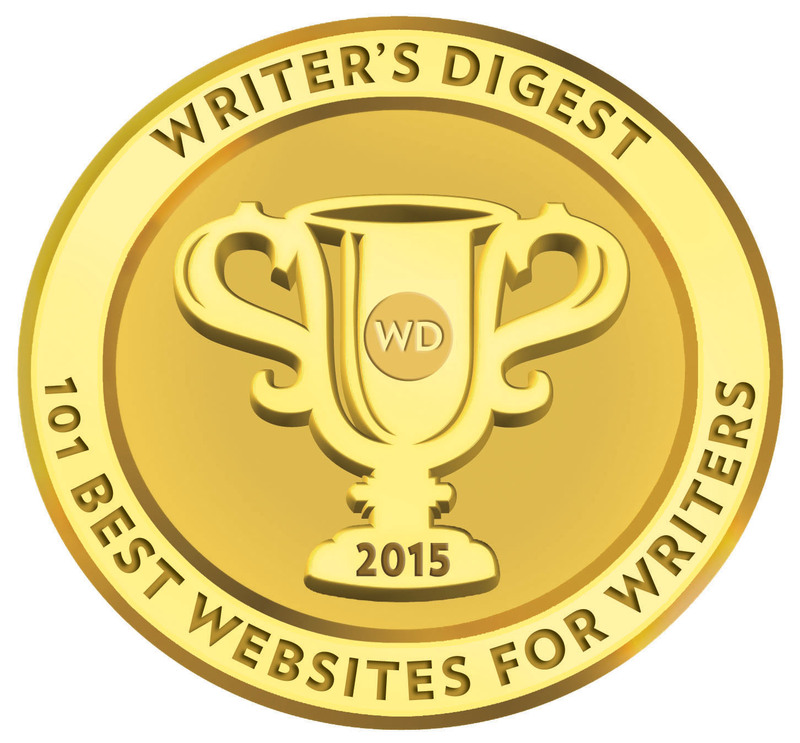 Publishers have even seized upon prizes and literary awards, those bastions of objective literary worth, as vital props to sell more copies, and when an industry uses awards it has given itself as marketing tools, you begin to stray away from any valuable consensus and towards Grammy territory. No one wants that. What has put the industry into arrears, quite apart from the difficult financial times of the past ten years, the lack of disposable income for the Average Joe to spend on something as useless as a book and competing media, also comes down to lowered expectations on the part of the readers. The phatic five-star can be seen as both a cause and a symptom of this trend, as publicists desperately try to rekindle the excitement that so many previous sub-par ‘masterpieces’ have already eroded away. Now, I’ve seen The Big Short and pride myself that I have any conception of how the 2008 financial crash happened, and I’m fairly certain it was something to do with Wall Street rating agencies giving sub-prime mortgages five-star ratings because a) they had a vested interest in doing so; and b) if they didn’t, someone else would have. Sounds disquietingly familiar, if you ask me. ‘Oh shush,’ you’re saying now, ‘don’t make a fuss out of nothing. This isn’t a zero-sum game, and everyone deserves recognition.’ Maybe so – but reviewers still hold an important function, especially in such a diverse and saturated market of time-consuming works of art, to inform the general public on which they should spend their valuable leisure time. I often think that literary criticism of the kind that has generated many thousands of books of conjecture on Shakespeare’s Sonnets is proof that humanity has too much time on its hands; I am talking here about rating, and discerning from the standpoint of the typical reader which product gets the best bang for the buck. It’s more than that, though – reviewers in their most potent form can actually aid the authors, not just through marketing but genuine objective feedback. The deterioration and increased indulgence of so many artists as they progress through their careers (Kubrick, Kanye, Shakespeare; just think of anyone to whom could be applied the phrase ‘I prefer their earlier work’) can be directly linked to a decreased reliance on audience expectations and a lack or dismissal of negative feedback. It makes sense that, given no single work is perfect, any artist who is prepared to adapt their art in order to please others would benefit from critical, consensual and constructive criticism, and to deprive them of it is deeply unfair to both them and the public that is the eventual recipient of their work. To paraphrase Whiplash, ‘The two most damaging words in life are “Good job.”’ Criticism can often be some of the most inspirational writing for artists, and individuals who are out of touch or isolated amongst sycophants are often in need of a swift whipcrack to snap them back to reality, or a work that can change the lives of millions of people will never be born. The stakes are high and in our current system this calamity will happen. Actually, by any possible measure of certainty, it has already. Many times. But the good news is that all it takes is for someone to stand up and shout that the Emperor is naked, and the truth is completely denuded. Probably. I would like to think that the internet, having originally loosed this high tide of new publications, can provide some kind of unbiased, crowd-sourced answer in the form of anonymous reviews on Amazon, Goodreads and the like. Unfortunately, not only are publishers and PRs already wise to utilising these portals, they are themselves equally unreliable and liable to manipulation. One need only look at the curious case of Orlando Figes and his shady campaigns to sledge competitors on Amazon to see that the system is hardly watertight. He was caught, but imagine everyone that wasn’t. People can buy positive reviews, review themselves, or get their two hundred closest friends to pack out the review section with five-stars. In general, it is also unfortunate that – due to Overhype Factor One above – even the unbiased casual reader probably won’t have the right frame of reference to judge a book’s relative worth for others. 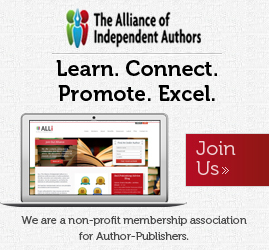 The cumulative averaging of many scores for online review portals is also inadequate in represent polarising books, so books that some people will love and some hate will end up with an unenlightening mediocre score, so even a fair judging system would inevitably be insufficient anyway. So what to do? I suppose I’m not asking for book reviewers to be more honest, since as I said earlier, I think they do try and the factors making them dishonest are mostly irrepressible and not down to any individual chicanery. I guess I’d just say to any casual readers out there – Don’t believe everything you hear. Social media’s nightmarish transformation into a media machine over the past few years has made us forget what it used to be all about: word of mouth, hearing from your friends and seeing what people you know and trust are doing. They’re the ones you can trust. So – what have they read recently?